Vehicles may be equipped with many structures devoted to passenger containment, including a strengthened roof, front and side-curtain airbags, laminated glass, child safety seats, rigid seatbacks, and various seatbelt designs and structures. When these vital security structures are inadequately composed or malfunction, tragedy can result. Seatbelts have a variety of moving parts, and therefore many things that can go wrong. Some of the most common seatbelt issues arise when the seatbelt buckle fails. When a seatbelt fails, the police report may state that the passenger was not wearing a seatbelt, and first-responders witnesses may agree. But latches can malfunction, and even passengers who were wearing seatbelts may be unbelted after a crash. That a passenger was wearing a seatbelt may be shown by medical records and witnesses. Buckles fail for a variety of reasons. When a seatbelt looks, feels, and sounds like it is secured, but it isn’t, this is referred to as “false latching” or “partial engagement.” False latching can occur due to faulty design or defective buckle materials, and can often be identified as an issue in a post-collision buckle examination. “Inadvertent release” is a seatbelt issue that can occur due to flying debris, hands, or elbows when a release button is too big, unguarded, or releases too easily. Federal Motor Vehicle Safety Standard 209 requires that a “buckle release mechanism shall be designed to minimize the possibility of an accidental release,” and may be useful to a plaintiff making this claim. During a crash or rollover, when there is sufficient acceleration in the direction of a buckle’s release mechanism to move the latching mechanism into a release position, “inertial unlatching” occurs. Although early inertial unlatching claims often failed, evidence now shows that in seatbelt systems holding the buckle to the frame in a rigid stock, force to the bottom of the stock can cause the belt to unlatch. Inertial unlatching can occur in other ways as well, and is worth considering in an investigation of a failed seatbelt. If a seatbelt is found with excessive slack in the belt, or if a properly belted occupant hit the windshield or otherwise moved out of position, “spooling” may be the cause. Spooling is caused by a defect in a retractor, resulting in an excessive amount of webbing being released in a collision or rollover. Retractor defects may include lockup delay and failure to lock up completely. Spooling is noticeable to an expert examining the vehicle. If a spooling defect is found, consider pleading safer alternative designs. Some car manufacturers include more than one retractor into their seatbelt module that uses a pyrotechnic charge to constrict the seatbelt in a crash or rollover. Pre-tensioners, which have been in use since as early as the mid-1980s, significantly improve seatbelt performance and only cost around $7.00 to $10.00 per seatbelt. Still, many manufacturers do not include them in their cars and most manufacturers do not include them in all seating places. 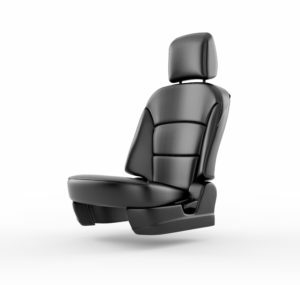 Seat integrated, or “all-belts-to-seats” systems are structures where the seatbelt cover is located in the seat and not the B-Pillar. “Web grabbers” also help lessen the chances of spooling. Remember that the safer alternative design needed to be economically and technologically reasonable when the vehicle was manufactured. Sometimes, a seatbelt segment can break, or the webbing can tear. This can be caused by cheap materials, the poor outline of the latch plate, or a configuration that causes the clasp housing or anchor plates to contact fixed objects or cut the webbing. “Poor seatbelt geometry” refers to the fit of the seatbelt on the passenger. A safety belt that does not safely fit the passenger opens the passenger to injury, including “submarining,” injury inside of the vehicle, and ejection. “Submarining” occurs when the passenger slides below a lap belt, and can cause severe injury and even death. Ill-fitting seatbelts may be caused by frail seatbelt anchors and mounting structures that disfigure during accidents or by improperly located seatbelt anchors that cause the shoulder belt to be uncomfortable, urging misuse or non-use. Safer alternative designs include customizable upper anchors and coordinated or seat-mounted restraints. Even though it is well-recognized that seatbelt slack significantly raises the possibility of injury in a crash, car manufacturers have included slack-inducing mechanisms in seatbelt designs. Slack can cause submarining (sliding below the lap belt) and reduce head injuries in frontal crashes, but overall it reduces the protection provided by a seatbelt. “Energy management loops” or “rip-stitches” and faulty torsion bars are two of the more common ways slack may be introduced in a collision. An energy management loop is created in a seatbelt by folding a portion of the webbing over on itself and sewing it together so that the seam rips during an accident, adding several inches of slack to the seatbelt. If you or your loved one was injured in an accident while wearing a seatbelt with an energy management loop, you’ll want to talk to your lawyer about reviewing the extensive collection of published reports detailing the risks linked with seatbelt slack, and the possibility of offering seatbelt retractors as a safer alternative design. You’ll also need to investigate whether the particular vehicle was issued a recall related to a slack-inducing mechanism. Manufacturers install various safety mechanisms to decrease seatbelt slack, including weblocks, pre-tensioners, and torsion bars, the failure of which could lead to further injury. These could all be examined in an expert inspection of a vehicle where excess slack may have led to further injury. Unless it is a high-speed accident, a seatback should uphold its inflexibility throughout an accident sequence, and failure to do so is a defect. Seatback malfunctions happen when a force (usually from the rear or front end) causes the device holding the seat upright to fail, allowing the seat to collapse backward. The seat then acts as a ramp sending the passenger forcefully toward the back of the vehicle, and potentially causing paraplegia, quadriplegia, or death as a result of a broken neck or back. If you believe the seatback may have malfunctioned, you should know that the significance of seat inflexibility in rear-impact crashes has been known for many years and documented in engineering and scientific literature. Studies show the industry was well aware of the need for appropriately designed seatbacks as early as the 1960s. In 1968, after directing a widespread test program of rear-impact accidents, researchers determined that rigid seatbacks guarantee more effective protection to the passenger during rear-end collisions, provided that the seatback support is high enough to resist backward movement of the head. One might be surprised to learn that the appropriate minimum government safety standard on seatbacks, FMVSS 207, is so minimal that we have been able to ascertain that a cheap lawn chair could pass the standard. The combination of a poor government standard and producers cutting costs has led to a wide difference of seat strength from vehicle to vehicle. Relevant evidence in a seatback defect case would include pictures of a car accident that show where the passenger landed and a vehicle evaluation. Vehicle speed is also relevant because seatbacks are not expected to maintain firmness at excessively high speeds. Appropriately working headrests are also vital to driver and passenger safety, and the absence or malfunction of a headrest could arguably be considered a defect. Headrests prevent hyperextension or flexion of the neck and upper torso during crashes. Still, many manufacturers don’t install headrests on the seats, usually on backseats, and this can lead to spinal fractures, concussion, brain damage, paralysis, and possible death of those passengers. Several types of airbag defect can cause injury, including a failure to deploy, a hazardous deployment, or an absence of airbags altogether. Determining whether an airbag should have deployed and failed often requires an accident reconstruction to clarify the velocity and angle of the collision and a comparison of these figures to the manufacturer’s stated deployment range. Once it has been determined that the airbag failed to deploy, the design and placement of a number of mechanisms need to be considered, including the sensors relaying data to trigger deployment (such as impact and whether the seat is occupied) and the deployment mechanism itself. For example, it has been alleged that in some Chrysler minivans, the impact of a front end collision disengages the airbag sensors, causing the airbags to fail to deploy. Injuries that seem serious or unexpected based on the type of crash may be caused by “aggressive airbags.” Airbags were presented to the market with such insistence that they were equipped in cars without acceptable safety testing. Many first generation airbags were faulty by design, deploying with excessive force straight into the passenger’s face. But later generations of airbags also have the potential for overly aggressive deployment. Force, angle of deployment, and mode of deployment can all contribute to airbag-induced injury. The data concerning the speed of deployment can be found through detection and can be compared to other like vehicles. Slow motion video of deployment may reveal defects in the mode of deployment. For example, in a recent lawsuit against BMW, slow motion video revealed that when the bag unfolded, a flap of the bag unfolded too close to the passenger’s face, striking the passenger in the eye and blinding her. It was recently discovered that the covering on certain Takata airbags and inflators would burst during deployment, throwing dangerous shrapnel into the passenger compartment. 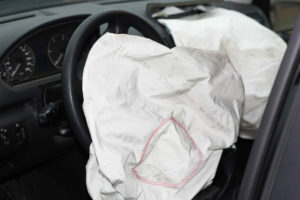 These airbags, which were installed in cars made by 14 different manufacturers, mostly between 2002 and 2015, prompted one of the largest, and most complex safety recalls in U.S. history. Takata was issued a record fine of up to $200 million for hiding the defect. Side-curtain airbags are activated when an imminent rollover is detected—the sensors are the same used to engage seatbelt pre-tensioners. When a rollover is sensed, the side-curtain airbags deploy. The side-curtains are intended to keep people inside the car during a rollover, and they usually provide full coverage of the windows. A failure to deploy could be a result of faulty sensors, deployment system, or both. Though this technology has been available for several years, side curtain air bags and “air canopy” structures are often offered only as an upgrade, rather than as part of a vehicle’s standard safety equipment. The manufacturers’ choice to release vehicles without this possible safety feature has drawn extensive disapproval from consumer advocates and trial lawyers. If a vehicle involved in an accident lacked accessible life-saving safety equipment, such as airbags, also consider the manufacturer’s advertising. For example, if airbags were available only as an expensive add-on, Saturn’s ad stating that “The Rich Don’t Deserve to Be Safer” would be highly relevant. If a vehicle passenger was fully or partially ejected, also consider whether the window glass was laminated. “Glazing” claims are based on the idea that if the car’s windows were all coated like the front windshield, then they would not shatter, leaving an open portal for a person to pass through. Laminated glass has been technologically available for years, and has been the government and industry standard on windshields for many years. There may be a good argument that glazing was a safer alternative design. When a passenger has been ejected from a vehicle after an accident, door and lift gate latches could also be an issue. Latch failures occur every day and are the subject of numerous recalls. They can be caused by inadequate design, mechanical issues, cheap mechanisms, and even improper installation. If a child was injured or killed in an accident, it’s worth considering whether a defect in the child car seat gives rise to a claim against the seat manufacturer. Car accidents are the most common killer of youths under the age of 16 in the United States. One of the reasons for this shocking statistic is the fact that many of the child car seats on the market are poorly designed or contain defective instructions for use. Since 1990, over 20 types of car seats—millions of child car seats—have been recalled due to safety issues. Millions of others should be recalled, but won’t be. Safety issues prompting recalls range from issues with the buckles and straps to the design of the plastic parts to the type of cushioning utilized. 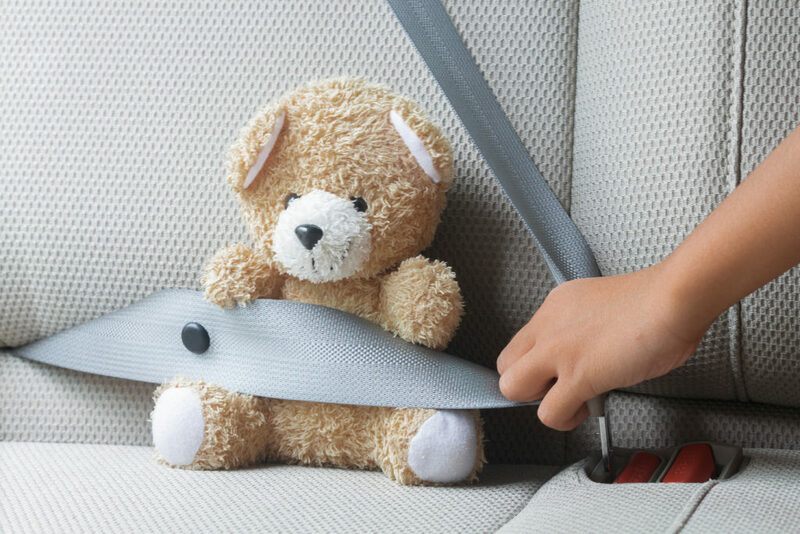 If the straps are intended to fit too loosely, the seat will not hold a child safely during an accident. Other issues relate to the guidelines supplied with the seats. Not all car seats work in all vehicles, and many have instructions that are difficult to understand.